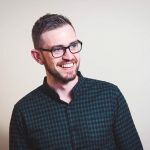 With a strong focus on web design and UX, Stephen has been delivering high quality, creative projects, from first concepts to completion for almost 15 years. As the design lead in Emagine, he oversees the creative output of the design team. A formal education in graphic design and UX, coupled with practical coding abilities built up “on the job” gives him a unique skillset for combining aesthetics, communication needs, user goals and technical implementation to deliver projects successfully. Stephen led the design team on multiple award winning websites for Emagine’s clients, most notably The Little Milk Company. This won the award for the ‘Most Beautiful Website in Ireland’ at the 2015 Irish Web Awards.